Lock in a great price for Red Lion Hotel by Greene King Inns – rated 8.5 by recent guests! Free Parking, Helpful Staff, Good Location. Able to get quiet room when requested. 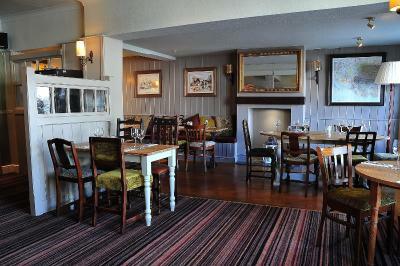 Lovely hotel, centrally located near the high street. Very comfortable beds and amazing shower! The cleanliness of the room and provision of kettle for tea in the room. 24/7 staffs was equally good. All the way from check-in to check-out, i cannot fault my stay here - the staff were lovely, the room was very clean and comfortable (and for a solo traveller very spacious), and the food was great. For the price I paid I was definitely not expecting such an excellent experience! We had a family room and it was quite spacious and cosy. The room was very clean and nicely decorated. The building seems to be quite old, but it is part of the charm. Although the bathroom had a somewhat weird shape (again, because the house is quite old), it seemed to have been renewed shortly and it was very clean. Breakfast was delicious and very abundant. 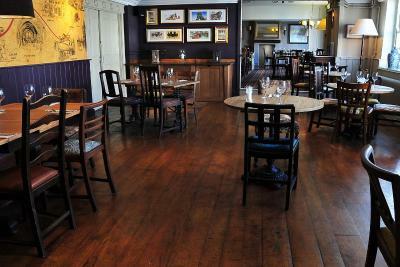 The staff was very helpful and they were family/children friendly. 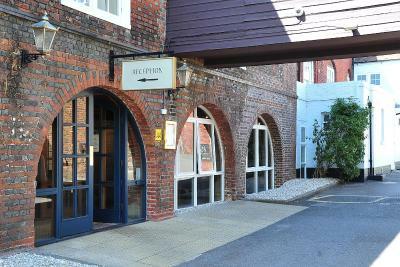 In the center of Fareham with easy access to the M27 motorway, this 18th-century coaching inn offers spacious, classic rooms with private bathrooms. 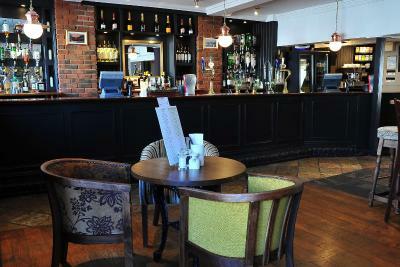 Its bar features real ales and leather sofas. 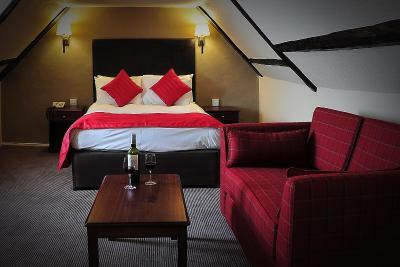 Each of the elegant, traditionally furnished rooms at the Red Lion Hotel includes a TV and free Wi-Fi access. 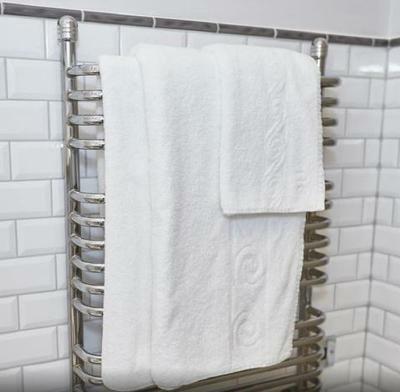 Tea and coffee facilities are provided, along with a hairdryer and ironing facilities. The cozy bar and restaurant serves specialty coffees, bar snacks, and chef’s daily specials. Guests can also enjoy a range of light meals. 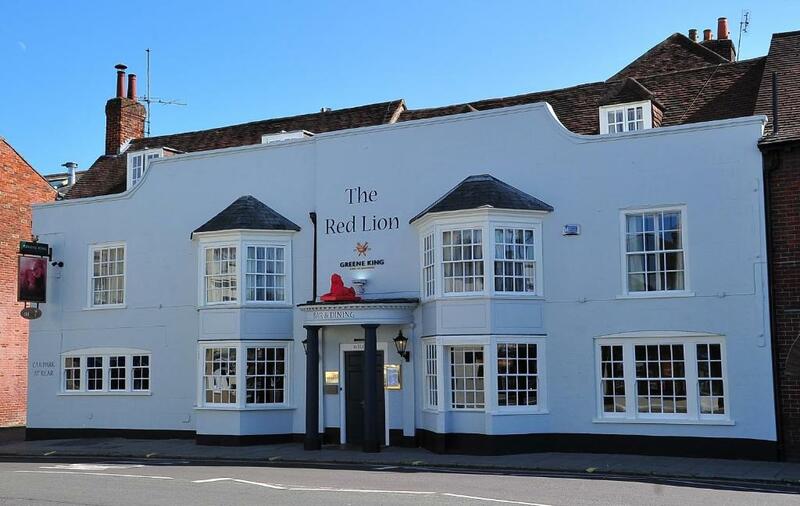 The Red Lion Hotel offers guests free access to Fareham Sports Direct Fitness Center, allowing guests the use of both gym and swimming pool facilities. The center is located 2 minutes' walk from the hotel. Fareham Shopping Center is located just next to the inn, while Fareham’s many shops and restaurants can be reached in a 10-minute walk. Fareham Rail Station is 15 minutes’ walk away, while Portsmouth is a 10-minute drive. This property is also rated for the best value in Fareham! Guests are getting more for their money when compared to other properties in this city. 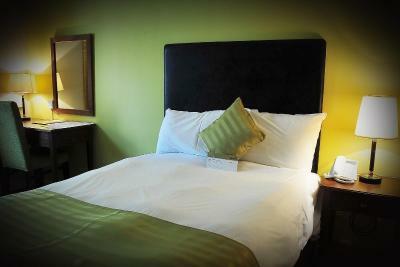 Elegant, traditionally furnished room with a TV and free Wi-Fi access. 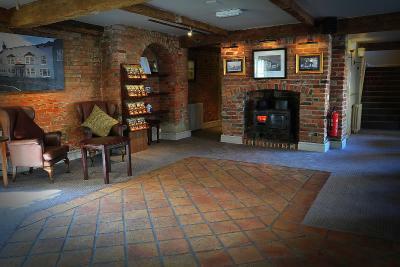 Tea and coffee facilities are provided, along with a hairdryer and ironing facilities. 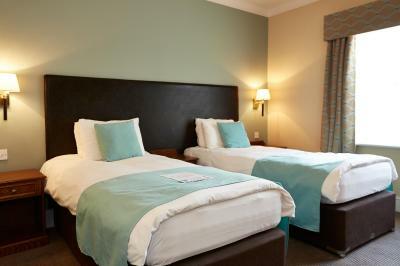 Superior rooms are larger than standard rooms, allowing space for an area to sit and relax. 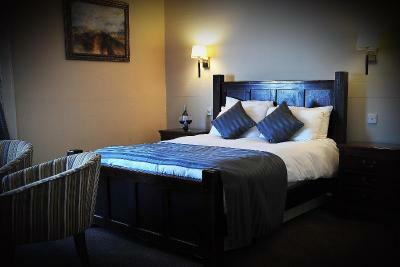 They have larger beds, some with four-poster or sleigh beds. There is also a desk for work space. 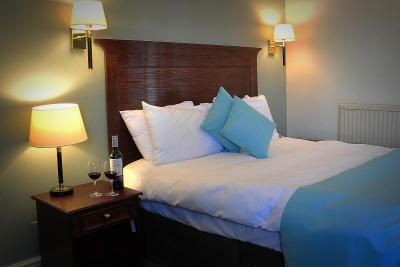 Elegant, traditionally furnished room located in the annex with a TV and free WiFi access. 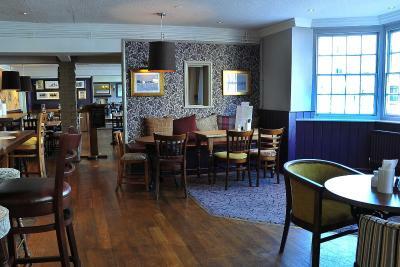 Tea and coffee facilities are provided, along with a hairdryer and ironing facilities. the breakfast which was provided was very good and there was plenty of it. The room was good and was good to have a decent shower for once! The location of the hotel was perfect in comparison to place of work. Room above outside seating area. Had three men sat outside window swearing for around an hour. Was a hot day but had to shut window because of the language. Pleasing service.location good and very central. Sharon who looked after us for breakfast was lovely. 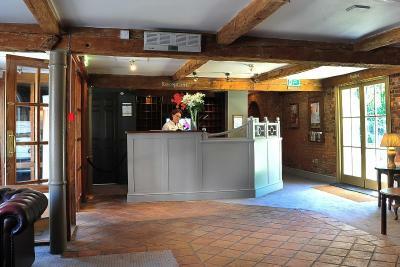 Booked a family room very last minute got there past check in time but no problems staff were great. The room was massive and the beds very comfy. All facilities were great. Breakfast included which was lovely. Great stay would highly recommend. Had to ask for tea, coffee etc as it had not been replenished, but not a real problem. Comfy room & amazing bed, we were in the Barn opposite the hotel. 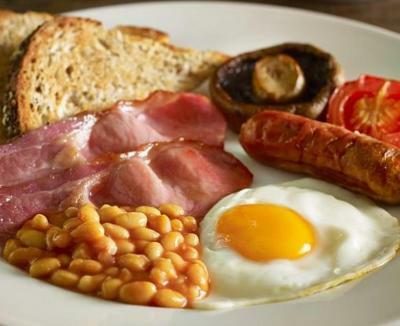 Food was perfect in the bar & breakfast. Sharon on breakfast service went that inch more to ensure we enjoyed it. Great position for Fareham town. 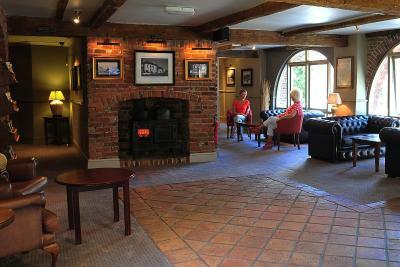 Probably the best Greene King pub we have stayed in & we've stayed in alot of them! Twin bed for kids was not provided as requested via Booking.com, the hotel has twin rooms available but adjacent rooms would not of been provided. Having a late check out of 11am was good, but staff cleaning adjacent rooms was noisy. Also staff knocked on the door at 10 to see if they could clean the room. EVERYTHING WAS PERFECT. STAFF EXTREMELY FRIENDLY AND HELPFUL. ROOM WAS GREAT. BREAKFAST WONDERFUL. RESTAURANT MEALS MEALS WONDERFUL AND WELL PRICED.